Linda Whaley is one of the latest talented independent designers to sell her knitting patterns on LoveKnitting. She talked to us about life as a knitwear designer and the inspiration behind her four beautiful childrenswear collections – Little Pickle Knits, Rocket Clothing London, Jessica Rose Hand Knits and Pure Hand Knits. For five days only, Linda will be offering customers who buy her Baby Beanie ‘Little Robins’ the matching Baby Mittens ‘Little Robins’ absolutely free! This offer ends on Monday 8th December, simply add the Baby Beanie ‘Little Robins’ to your basket and the Baby Mittens ‘Little Robins’ will automatically be added too. Read more about this exclusive offer here. My mother taught me how to knit when I was about 8 years old. Every time she picked up her needles I would want to knit as well. She had so much patience as I dropped my stitches more often than I knitted them for quite a while. My mother also set up a little craft club. I was totally captivated and the seed was planted! I left school and studied at Art School in Brighton for 6 years. After two years experimenting with a variety of Arts and Crafts, my love of fabric and fibre lead me to study Knitwear Design. Spending every day in such a vibrant, creative environment was a time I will never forget. I left Art School with a BA Hons Degree in Fashion and Textiles…. and that was the start of my career as a Knitwear Designer. Although I have written knitting pattern instructions for knitwear manufacturers and outworkers throughout my career, it was in 2010 that I sold my first commercial knitting pattern. A baby beanie hat called ‘Pixie Three Flower’. Prior to leaving London and starting a family, my career was 24/7. I worked very long hours designing and overseeing the manufacture of my designs, alongside my career as a freelance knitwear designer. It was exciting and rewarding, but just wasn’t suited to family life. I realised that in order to get that home and work balance that we all strive for, my business had to evolve into a family friendly venture. The emergence of independent designers selling their own knitting patterns online was the perfect solution. My Pixie Three Flower Beanie was the start of my new knitting pattern venture. I still work hard, often into the small hours when the children are asleep, but by selling my designs as commercial knitting patterns I find my work is less pressured and I am able to spend this precious time with my children whilst they are young. What is the inspiration behind your different collections? During my freelance career I worked in several fashion forecasting studios where I was employed to design collections of men’s, women’s and children’s knitwear, for a wide range of markets, fashion trends and colour palettes. This has heavily influenced my current work and my knitting patterns are now also designed as separate collections of knits, each with their own identity and colour statement. Each collection will continue to grow and develop over time. My first commercial knitting patterns in 2010 were aimed at the emerging trend in newborn photography. I designed unusual hats, blankets and cocoons that were perfect photo props for artistic newborn photo shoots, rather than for everyday wear. This collection has been especially popular in the US. Rocket Clothing London was the next knitting pattern collection to be launched. I selected a handful of knits from the original collection that sold into stores in the late 1990’s, and made these designs available as knitting patterns. These simple stripes and cable knits have proved to be timeless classics, as they are still really popular today. I have some cable knit sweaters and cardigans patterns that are due to be released next year! Little Pickle Knits was launched purely because my children love to wear clothes with pictures on them! I sat down with my children when designing these picture knits, and they have loved watching the initial drawings and charts develop into finished knits that they can wear. Jessica Rose Hand Knits was launched as I so wanted to design a collection of pretty girls’ knits for my daughter. I love working with colour and texture and have had fun designing these tweedy knits in strong Autumnal berry tones. I have some tweedy fairisles on their way! My Pure Hand Knits collection takes me back to my early career, when I was often employed to design and develop understated, beautifully simple textured and structured knits. I believe it is often what you leave out that makes a design into a stunning knit. The colour palette for this collection is cool contemporary tones. I will be adding knits for the home and women’s accessories to this collection next year. I think it goes back to my first position as a young freelance designer. I worked in a very inspiring and creative studio in London, and had so much fun designing a children’s knit collection each season for a large Japanese childrenswear label. My Classic Pixie Beanie hat in my Rocket Clothing London collection has been one of my best all time designs. I first designed it in 1995, and my outworkers just couldn’t knit them fast enough. In 2010 I started to sell the PDF knitting pattern, and this double knit beanie is still very popular today. I have since designed a 4ply picture knit version of this beanie, which I sell in my Little Pickle Knits Collection. My most popular patterns at the moment are my ‘Little Robins’ beanie and ‘Little Robins’ baby mittens. These two designs are very popular for Christmas baby gifts. What are your knitting essentials when sitting down to write a pattern? A pair of knitting needles, heaps of wool, a pen and notebook, a comfy sofa, and a coffee. I knit up each new design and take detailed row by row notes as I work through the knit. Your photographs are lovely – how do you photograph your work? Most of my newborn photographs are taken by a handful of professional UK photographers. Working with these very talented women has inspired me to develop my own photography portfolio. I have been on some photography courses to build my skills, but I still have a long way to go. I’m really enjoying the creative journey! What would be your top tip for someone looking to start to sell his/ her own patterns? Try to make your work individual so customers remember you, as there is a lot of competition out there. My priority is good customer service. I always try to answer questions within 24 hours as I know what it’s like when you just can’t wait to get on with your knitting! Denim – fading slightly, but definitely improving with age! Click on the links below to shop from Linda’s beautiful collections! 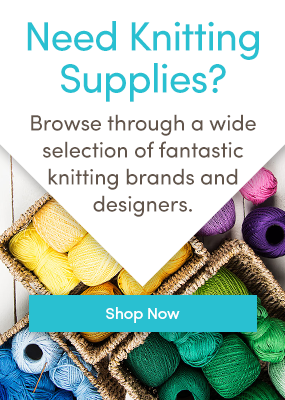 Want to sell your patterns on LoveKnitting.com? Click here to find out more. To shop our full range of independent designer patterns click here. Last updated: December 3rd, 2014. Right here is the perfect website for anyone who really wants to understand this topic. You realize so much its almost tough to argue with you (not that I personally will need to…HaHa). You certainly put a fresh spin on a subject that’s been written about for years. Great stuff, just great!